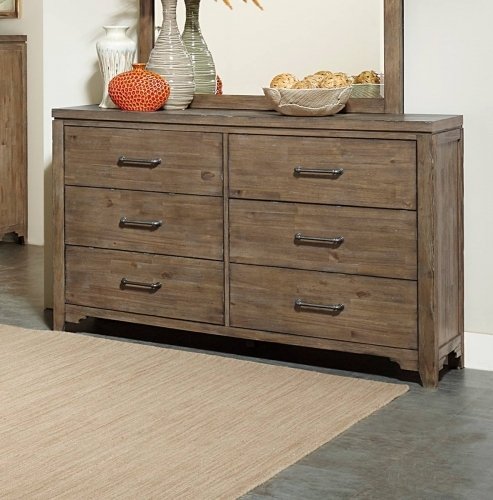 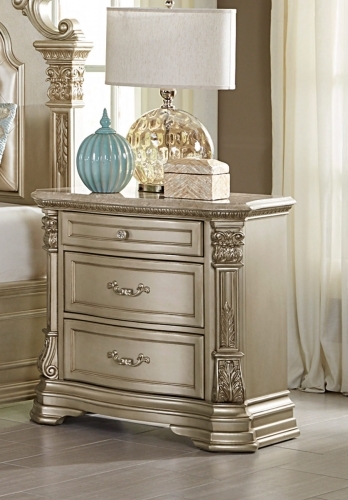 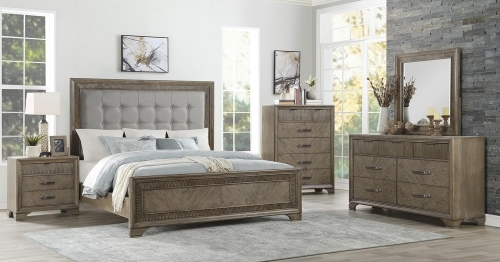 Transitional styling paired with unique and functional accents combine to create the Homelegance Caruth Collection. 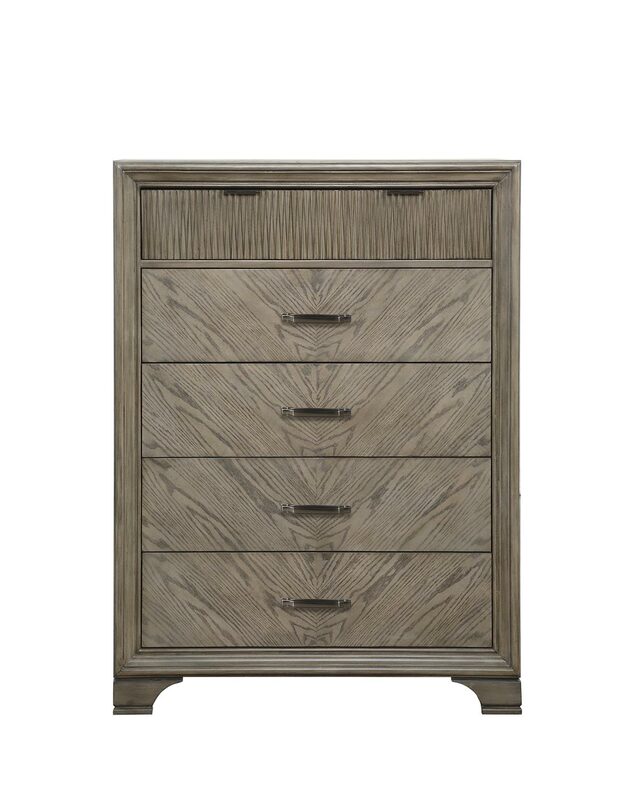 The gray finish over v-matched oak veneer serves as the backdrop for the headboard’s gray, button-tufted, fabric insert and contrasting drawer hardware. 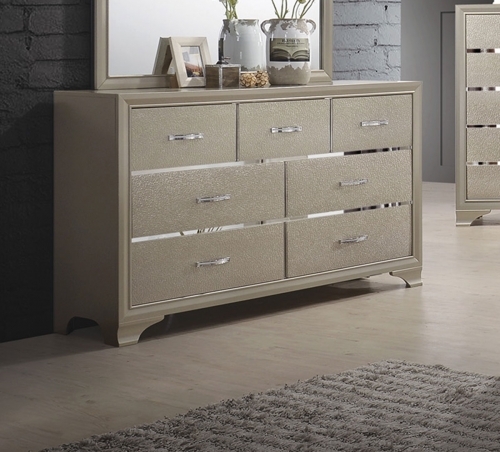 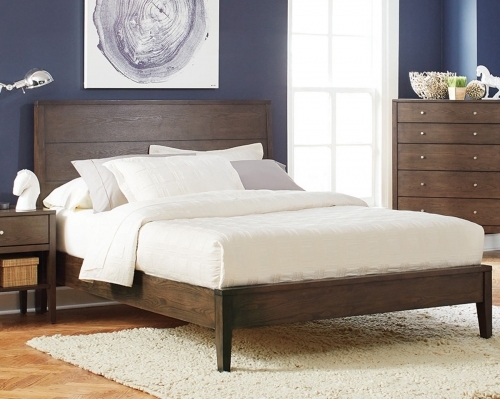 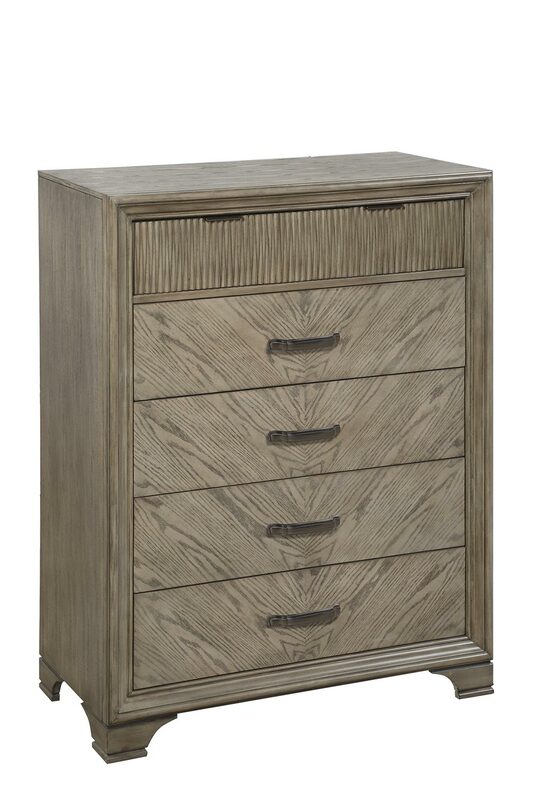 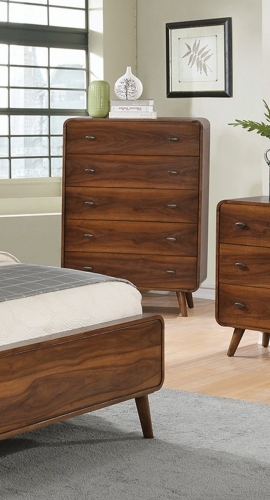 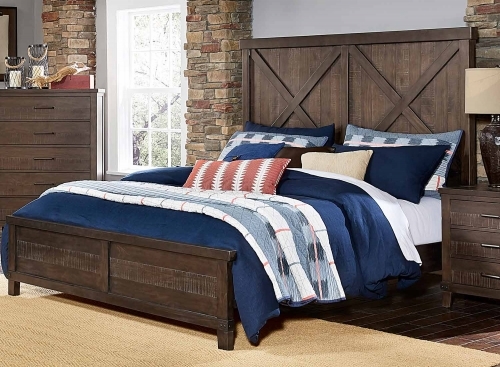 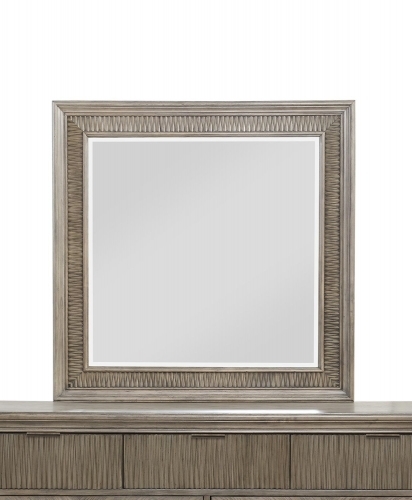 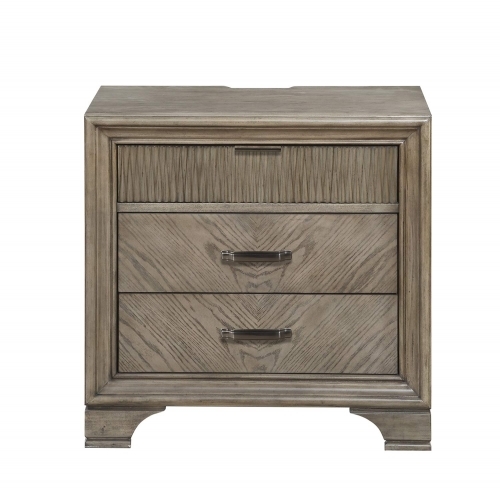 Sawtooth molding provides distinct accent to the top drawer fronts, mirror and bed framing. 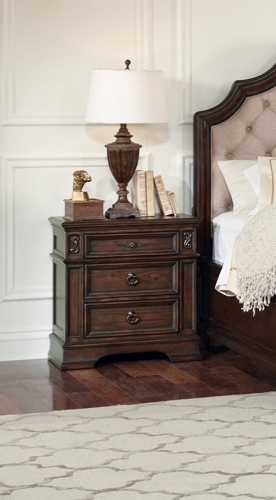 Providing additional functionality to the collection is the mounted electrical charging station with USB ports.